Cairngorms National Park is all set to have a global presence for independent travellers, thanks to the support of VisitScotland. A new campaign called Discover the Cairngorms National Park will inspire the international travel trade to list the UK’s largest National Park as a must-visit destination. The campaign has already received a £40,000 Growth Fund award from national tourism organisation VisitScotland. 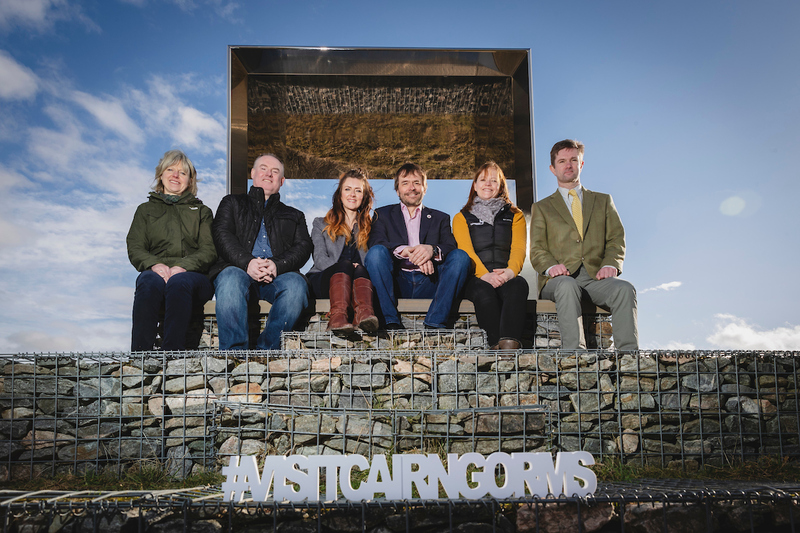 Led by the Cairngorms Business Partnership, the campaign will target international travel buyers and writers in France, Germany, Scandinavia and North America, and for the first time, encourage them to list the Cairngorms as a destination. This will involve visiting international travel trade events, producing trade focused content and arranging familiarisation trips for journalists and holiday bookers to the area. It is hoped this will raise the international profile of the National Park among the travel trade and increase visitor numbers and spend, especially from international markets. Mark Tate, chief executive of Cairngorms Business Partnership, said: “We are delighted to be working with VisitScotland to promote the Cairngorms National Park. “Our Growth Fund campaign is a true collaboration. As well as VisitCairngorms contributing on behalf of our members we are also receiving specific support for the campaign from the Cairngorms National Park Authority, The Fife Arms Hotel, Tomintoul and Glenlivet Holiday Homes, Rothiemurchus, Perth and Kinross Council and Caledonian Sleeper. “Our £80,000 campaign will really help us reach an international audience whilst building our own skills and our members skills”. Planning is already under way for the Year of Coasts and Waters 2020, a year-long programme of events and activities which will shine a spotlight on the impact our waters have on Scotland. Cairngorms National Park is the source of the River Spey, Dee and Don, and includes headwaters of five other important rivers, meaning the campaign will be in an good position to collaborate with activity around Scotland’s next themed year. Jo Robinson, VisitScotland regional director, said: “From breathtaking scenery to fascinating heritage, beautiful wildlife to world-famous distilleries, the Cairngorms National Park has so much to offer visitors. “This exciting new campaign will help position the Cairngorms as a top destination for visitors in a number of our core markets. “I’m thrilled that we were able to support this campaign through our Growth Fund award and I look forward to the inspirational trade activity and engaging content that it will bring.